Our Infrastructure Management Services continuously manage IT environment and monitor for availability, performance and compliance. Our services are engineered to improve your existing infrastructure and helps to align your business objectives with IT strategies. Extensive industry expertise and best practices in Infrastructure management makes your business stronger and enhance your business processes. 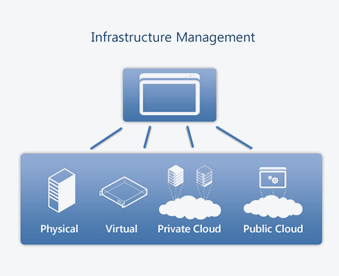 Infrastructure management service offered by ANGLER in Australia gives a deep insight on your current IT infrastructure and helps you to align with your IT business better. Our goal is to increase your business value by using technology and implementing affordable and comprehensive solution. Our team of experts will constantly monitor your infrastructure proactively and identifies faults before it impacts your business. Building future-ready infrastructure needs is our vision and we have very strong domain capabilities that helps in building our IMS portfolio. Services we offer guarantees remote manageability, high reliability, round-the-clock availability and optimum scalability. All our services enable you to cut-cost at the same time meet regulatory compliance, achieve operational efficiencies, exceed uptime targets, maintain information security across your network, reduce operation costs and enhance service performance.